Returns can certainly be a hassle, but they’re an unavoidable part of doing business. The nice thing is, if you handle them right, they can actually increase your business. But sometimes, the packaging an order is sent out in may not be the best packaging for sending it back. That’s where return-friendly packaging comes in. Just like returns themselves, if return-friendly packaging is handled right, it can help increase your sales and retain the customers you already have. Return-Friendly Packaging: What Is It? When the packaging used in a customer’s order has been optimized for easy re-packing and return mailing, that’s considered return-friendly packaging. Thanks to the rise of e-commerce and the increased frequency of people shopping online, more and more packaging materials are adding return-friendly features. Use new corrugated boxes or mailer envelopes with easy-open tear strips. Customers will be less likely to damage the packaging while opening it, keeping it in ideal shape for its potential return trip. Everybody wins. Use new e-commerce boxes or mailer envelopes with a second adhesive strip. This way, all customers have to do is re-pack their purchase, pull the liner strip, and close the box. No extra tape required. Nice! Online processes like automated returns and easy-to-print return shipping labels both speed up and simplify the returns process. Customers won’t feel as judged, and they’ll be more likely to purchase from your business in the future. Thanks to built-in locking tabs that help them stay closed, e-commerce boxes require minimal tape during delivery trips. That means they’re far more likely to stay in good condition once a customer opens them. Newer versions of e-commerce boxes can also come with an adhesive strip that allows the customer to re-seal it, no tape needed. Some types of mailers now come with an easy-open tear strip. Instead of having to cut or rip open a mailer (rendering it unusable ever again), the easy-open tear strip creates a wide opening for customers to reach in and retrieve their purchases. Since the mailer itself isn’t damaged, the customer can merely tape it securely closed if they decide to return something. Newer versions of mailer envelopes can come with a second adhesive strip, allowing the customer to re-seal it with no extra tape needed. Bubble cushion is an endlessly useful packaging material. But, it most often comes in sheets, which means tape is needed to wrap things up. Bubble pouches are exactly as they sound, pre-formed pouches that easily cradle and protect items without the need for tape to secure them. Should a customer decide to return an item, a bubble pouch saves them time, materials and headaches. When your shipments arrive in branded packaging, customers are more likely to treat it better and hold onto it longer. This is not only good in case a customer decides to return something (as they’ll have quality, easy-to-use packaging on hand), but it keeps your business looking professional and positive in both your customer’s eyes and anyone who sees the packaging on its return trip to you. When you make returns easier on your customers, you make returns easier on your business. 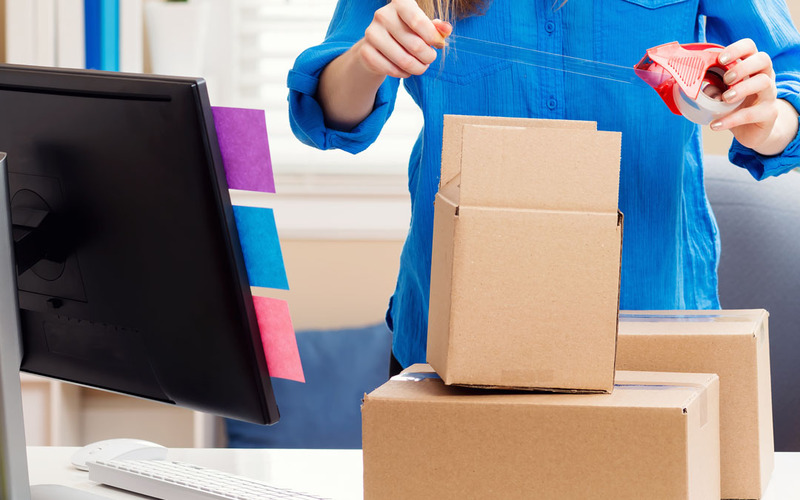 Embracing return-friendly packaging is a win-win for everyone involved, and The Packaging Company is here to help supply you with some of your best return-friendly packaging options.